It’s official: Spring is here! This means it’s time to close the door on our annual planting season, and to celebrate our season’s accomplishments. Each year, we officially kick-off the planting season with our Green Seattle Day celebrations in November, and continue to plant through the end of winter in March. 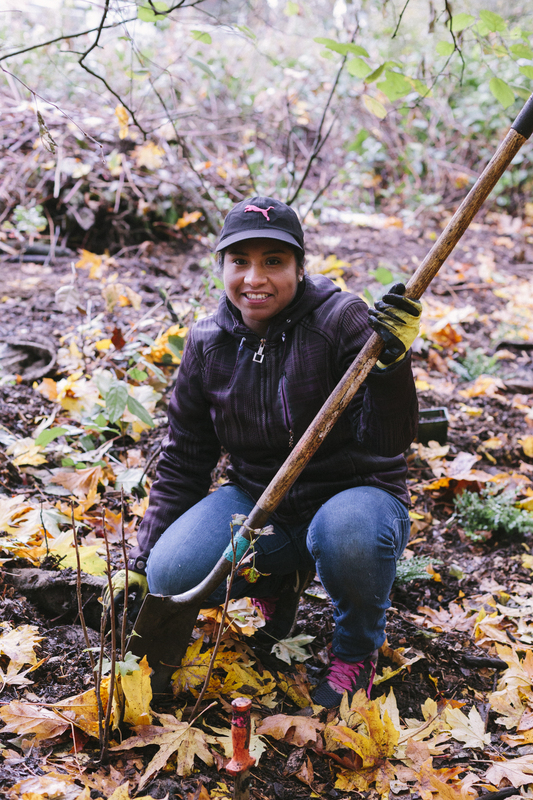 From last year’s Green Seattle Day on November 4th to mid-March this year, Green Seattle volunteers and crews have planted a total of 161,285 native plants in our forests! 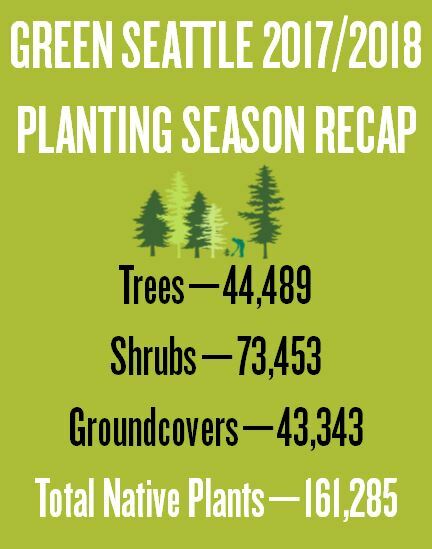 That breaks down to: 44,489 trees, 73,453 shrubs, and 43,343 groundcovers in Seattle Parks. Some people are surprised to hear that we don’t plant year-round, and are especially curious why we typically don’t plant trees for Earth Day in April. But here at Green Seattle, we work with the region’s seasons to give our plants the best head-start we can. 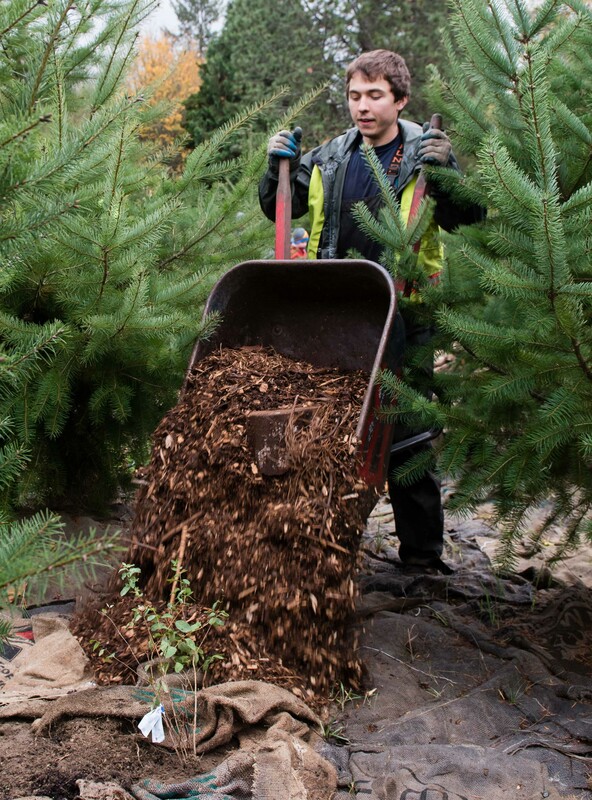 Here are some reasons why we only plant during the fall and winter months, and learn what it takes for our Green Seattle plants to become the future forests of our City! The cool, cloudy, and usually rainy days of the fall and winter provide ideal planting conditions here in Seattle. Until sufficient roots develop, newly installed plants will undergo transplant stress that can be exacerbated by warm, sunny days. Fall and winter weather provides ample moisture for the roots while the plants recover from transplant shock. However, plants should not be installed when the soil or container is frozen, since frozen ground will keep plants from thawing out. Accustomed to its life at a nursery and the confines of its small one gallon pot, it can take a plant quite some time to adjust to its new home in the forest. In fact, it can take several months for roots to sufficiently grow beyond its planting hole, and to start absorbing moisture and nutrients from the surrounding native soil. Fall soil is warm and aerated, and many plants actively grow roots during this time. Some species will continue root growth through our mild winters, and most begin their most vigorous root-growth period in the late winter or early spring. Only fall transplants have this critical time for root extension before spring top growth takes off. Plants installed in the spring may barely recover from transplant shock before the heavy demands of growth and summer drought are upon them. Fall plantings enjoy advantages that are especially important for sites that will receive minimal maintenance and irrigation in the spring and summer. The earlier plants go into the ground in the fall, the more time they have to recover from transplant shock, adapt to the site, and expand their root systems before the growing season. With more time to establish to the site, these plants will require less water, which is critical as we watch our summers grow warmer and drier. Planting in the fall and winter also gives us time to better prepare our plants for the dry months ahead; we do this by adding sufficient mulch for nutrients and moisture retention, as well as burlap and cardboard for suppressing future weed growth. We hope you learned more about why we are so specific when it comes to planting during the right time of year! 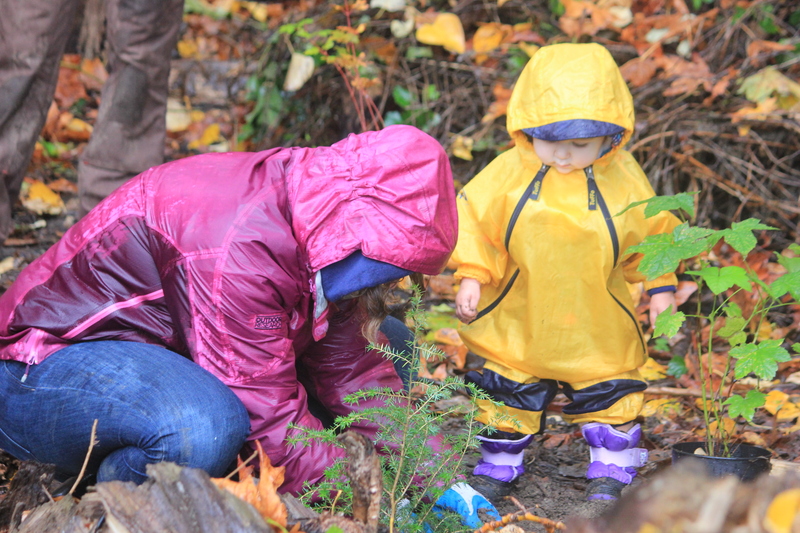 We won’t be planting again until Green Seattle Day, November 3rd, this fall, so make sure to save the date. If you’re interested in learning more about planting best management practices, check out some of these links which can provide more tips on what it takes to successfully plant our region’s future forests!